An extra-flavorful, easy way to make baked sweet potatoes even better. Whole30, paleo, dairy-free, gluten-free, CHEAP, and just plain good. The best baked sweet potatoes I’ve ever had. For a while, I called these “the best baked sweet potatoes.” Let’s agree that recipe titles that use the words “Best,” “Most Amazing,” “Perfect,” or “Crack,” are just lazy. We don’t actually know that it’s the best – Gordon Ramsey did not taste these – and since we’re writing a blog about sweet potatoes, it’s a safe bet that we’ve never done crack. Crispy Baked Home Fries was an easy name, because that’s exactly what they are. So that’s what these are: deeply flavorful baked sweet potatoes. What I’m really trying to say is that these are better. Deeply flavorful, just a touch different, and it’s worth your while to try them this way. Until I made them this way, my sweet potatoes were just okay – as long as you slathered them in butter and brown sugar or maple syrup. However, when they’re baked this way, they don’t need a thing. Not that butter doesn’t make them better – because #BUTTER. and just plain good. The best baked sweet potatoes I’ve ever had. Gather your potatoes, oil, and salt. Dump the oil and salt on them. Use your hands to rub them down so the oil and salt cover the outside of each one evenly. Place them on a baking sheet (parchment paper optional for easier clean up). Bake at 350 degrees Fahrenheit for 1-1.5 hours. Open, mash, eat, and enjoy. Because you only use a tiny bit of oil and salt, this dish basically costs what your sweet potatoes cost. Since they aren’t part of the dirty dozen, I don’t buy organic ones. 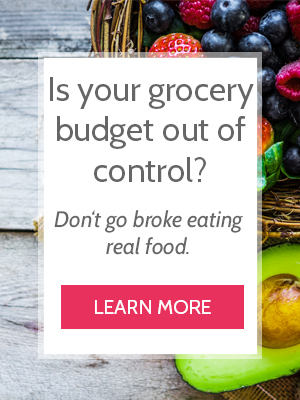 Aldi has the best price I’ve found – even compared to sales prices at other grocery stores. An extra-flavorful, easy way to make baked sweet potatoes even better. Whole30, paleo, dairy-free, gluten-free, CHEAP, and just plain good. The best baked sweet potatoes I've ever had. Preheat the oven to 350 degrees Fahrenheit. Place the potatoes in a large bowl or on a plate. Dump the oil and salt on the potatoes. Use your hands to rub them down so the oil and salt cover the outside of each potato evenly. Place them on a baking sheet (parchment paper makes for easier clean up) and bake for 80 minutes. Oven temperatures vary, so you may need to adjust your time. You're looking for potatoes that are nice and soft but not burned on the bottom yet. Let them cool for a few minutes then serve, mash, and enjoy. These go great with any kind of meat and veggie combo. You can also serve them filled with black beans, chili, or even alongside eggs and sausage. An easy, inexpensive, way to prepare okra without deep frying it. Gluten-free, dairy-free, and egg-free; made with simple, whole ingredients. For a frugal protein source, look to the egg. These muffins are the essence of an easy, homemade, on-the-go breakfast – perfect for freezing and reheating. Ideal for freezing, this recipe can be used for anything – tacos, pasta, soup, etc. Use any cut of chicken and cook in the oven, crockpot, a grill! This recipe cuts my cook time in half when I serve ground beef. I cook several pounds ahead of time then freeze it or use for any beef recipe. Save on Pinterest or Yummly! We dont even think sweet potatoes need any salt lol No butter, we just devour them. Love them, but theyre so high in fructose its like eating a fruit. Nice in stews or soups for a surprise . I tried these. Delicious! Would you adjust the temperature or duration for regular potatoes? Thank you! Hmmm…. Good question. I think regular baking potatoes would be fine this way, but I have never tried it (I should have by now, haha).